Is Your Child Getting Enough ‘Vitamin N’? 13 Things to Gift a Cyclist Before Christmas! Cycling Jersey: How to Buy the Right One for Men and Women in India! As parents, we all talk about different vitamin deficiencies like A, B, and C; however, not many of us are aware of Vitamin N. We make sure our children eat right and get the right nutrients for healthy growth. However, we fail to realize children often lack a critical element called ‘Vitamin N’. ‘Vitamin N’, where the N stands for nature is known as ‘Nature Deficit Disorder. It affects both the mental and physical health of a child. Say ‘Thank You’ to our technology-driven and sedentary lifestyle which has blocked the absorption of this important vitamin. These days our children get little time post-school, which they choose to spend on electronic gadgets. Unfortunately, during summer holidays, not all children enjoy physical exercise; many prefer to sit in front of the TV or play video games all day every day. This leaves them with no room for enjoying their childhood! As a parent, it’s necessary to understand that Mother Nature plays an integral part for the growth of mental and physical health, cognitive skills, sensory development and creative learning of a child. How can you let our little ones experience nature in the best possible way? How do you keep them occupied in healthy and stimulating ways? Well, the answer is pretty simple! Get your child a bicycle! The good news is that cycling is one of the forms of exercise that most children seem very willing to try. So how do you get them to get off the sofa and get them on a bike? 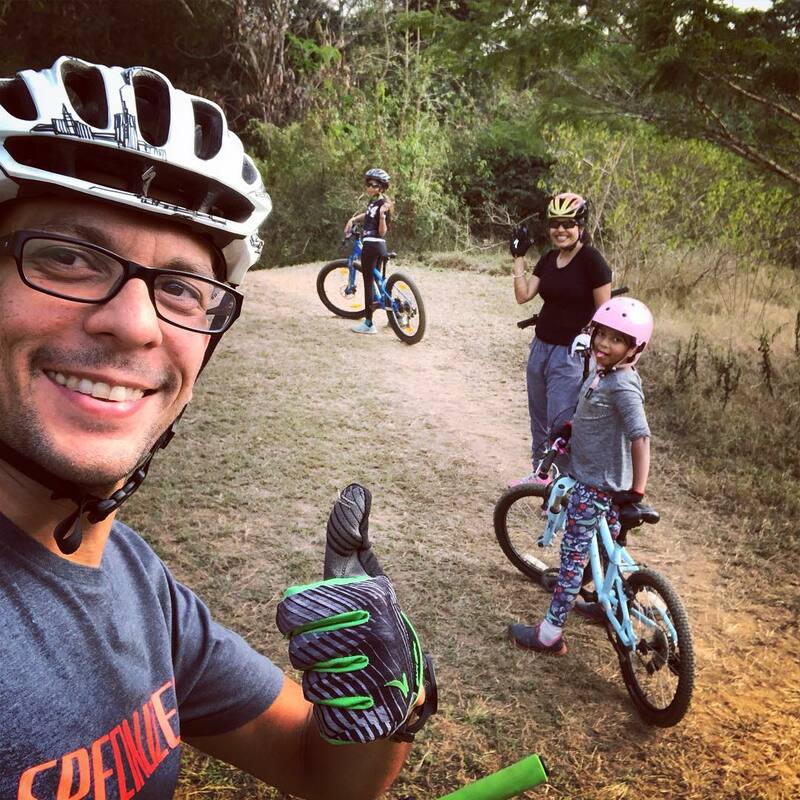 Get your kids to ride bikes by spending time with them. Start by teaching them to ride bikes, and then riding with them. Trust us; they will love you for it and enjoy this fun exercise. They will tell their friends how COOL their parents are! If your child is between the age of about two and a half to three and a half, you can get him/her a balance bike. Balance bikes help kids learn how to balance on a bike while moving forward. Gradually, after training over the balance bike, your child can graduate directly onto bikes without the use of training wheels. Even if they need training wheels on their first bike, children tend to learn the basic concept of balancing faster while moving on their balance bikes, and will very quickly be able to graduate to riding bikes without training wheels. Getting a new bike is a nostalgic moment for everyone. We are sure if you’ve cycled as a child, you’ll remember the moment you got your first bike as clearly as if it was yesterday. 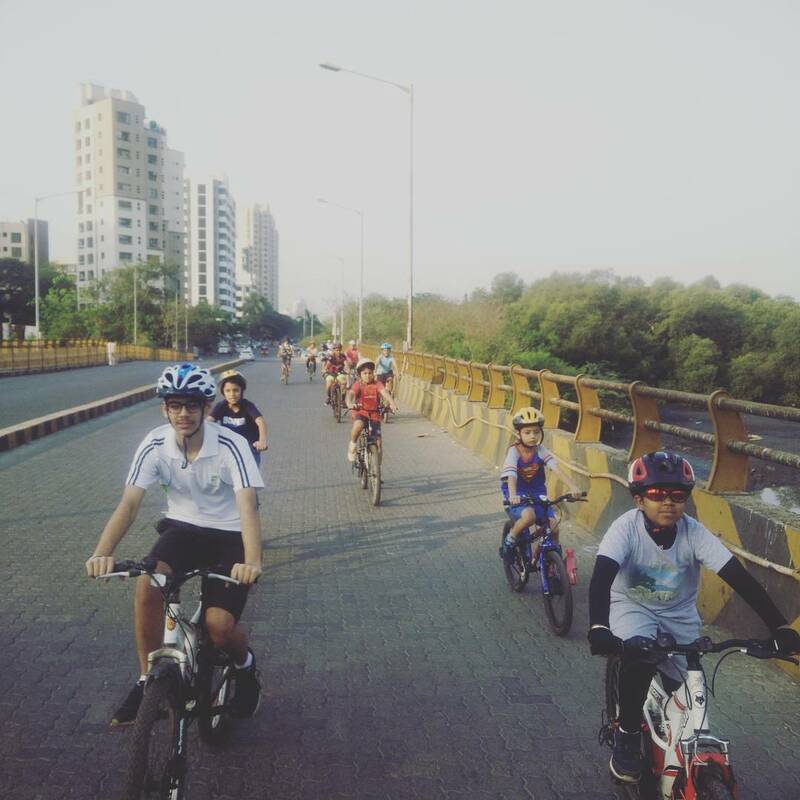 Getting the right bicycle for your child will also be instrumental in making your child’s early cycling experiences fun and safe. It’s important to get your child dressed properly for his ride. Providing your child with the right cycle wear will motivate him to ride his bicycle. This will also put your child in the right frame of mind and also improve his cycling performance. If it’s your child’s birthday, you obviously invite his friends. Why not ask your kids if they’d like to invite a friend along for a bike ride? Your child will feel more comfortable going for a bike ride if there’s a friend who is interested in the same thing. He will look forward to his bike ride every day. Also, in the future, his friend’s parents may reciprocate the favour, so it’s a win-win situation for your child’s development. This way, let your child explore the joy of a bike ride and at the same time, help them immerse in nature. Exposure to nature and being outdoors is considered to be a cure for various childhood health threats. It’s time we encourage our children into more outdoor and recreational activities. Needless to say, ‘Vitamin N’ is now one bike ride away!